Replace that tired and worn out factory Eaton in your 2001-2004 Ford F150 SVT Lightning with this Gen 3 2.9L Whipple Supercharger Racer kit! Dramatically improve horsepower and torque with this bolt-on 2001-2004 Ford F150 SVT Lightning Whipple 2.9L Gen 3 supercharger racer kit! This direct bolt-on kit is the industries most efficient, largest, and latest designed twin-screw supercharger available today! With the 2.9L Gen 3 Whipple Racer kit being internally lubricated, this eliminates the need for tapping your oil pan! The Gen 3 Whipple 2.9L supercharger can produce incredible power levels with the stock 5.4L SVT Lightning engine as well as highly modified engines! The revolutionary new W175AX compressor has the ability to run nearly 30lbs of boost (engine modifications required). 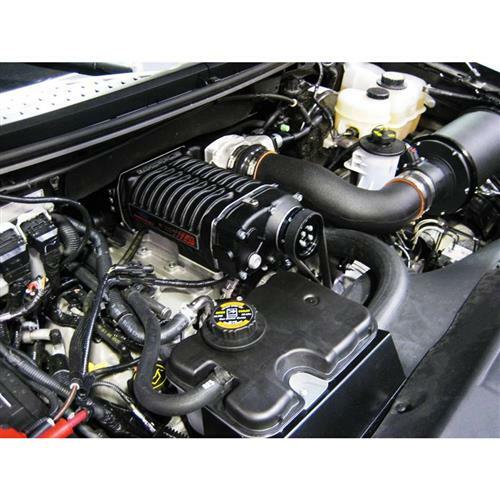 If you're looking for the most efficient kit for your 01-04 F150 SVT Lightning, Whipple is the way to go! This complete bolt-on 2.9L Whipple Racer Kit comes with all the necessary parts for 11-12lbs of boost. The Whipple W175AX allows for more airflow at lower compressor speeds when compared to the competition. 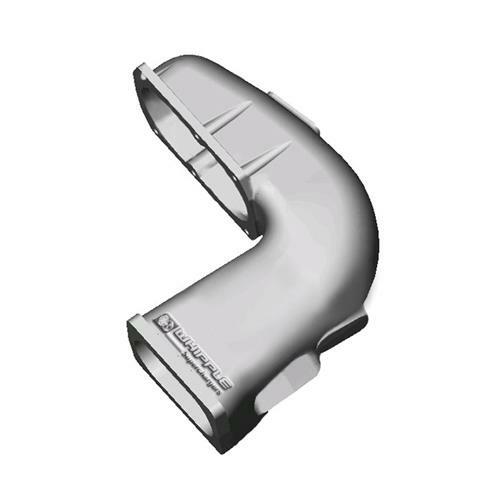 The Whipple axial entry reaches nearly 99% VE during its operation, significantly outperforming the stock supercharger. This complete bolt-on system comes with all the necessary parts for 11-12lbs of boost and includes a large mouth inlet casting and all the necessary parts for a simple installation. The Whipple Gen 3 2.9L Racer Kit accommodates both factory and aftermarket throttle bodies, and there's no need to clearance the firewall or hood. This 2.9L Whipple Racker Kit does NOT include fuel upgrades, a tune, throttle body, airbox or EGR. It DOES include the Whipple intake tube and couplers. You will have to connect the intake tube to your MAF and stock or aftermarket filter housing.